The first few bars of this make you wonder what's going on, but the first few seconds of "Take Off" is an introduction for what's to come. I have to say that Liam's voice is reminiscent of David Bowie at times, in fact the musical depth of this album would be worthy of that legend, too. This debut album comprises cleverly thought out music, not just simple ukulele compositions. Keyboards, electric guitars and of course, cello (although, I'm not sure it really needs more). "Puddle Jumping" is just brilliant to hear, especially for aspiring ukulele players. Liam transferred to ukulele from the guitar and it shows with the mastery of the finger-picking art and the dramatic strumming without going into over the top shredding mode that is probably tempting for an ex-guitar player. "In Another Life" has a great twang and string bending vibrato. I think the lyrics might be what caused Caroline of the Hedge Inspectors to tweet "Warning ! 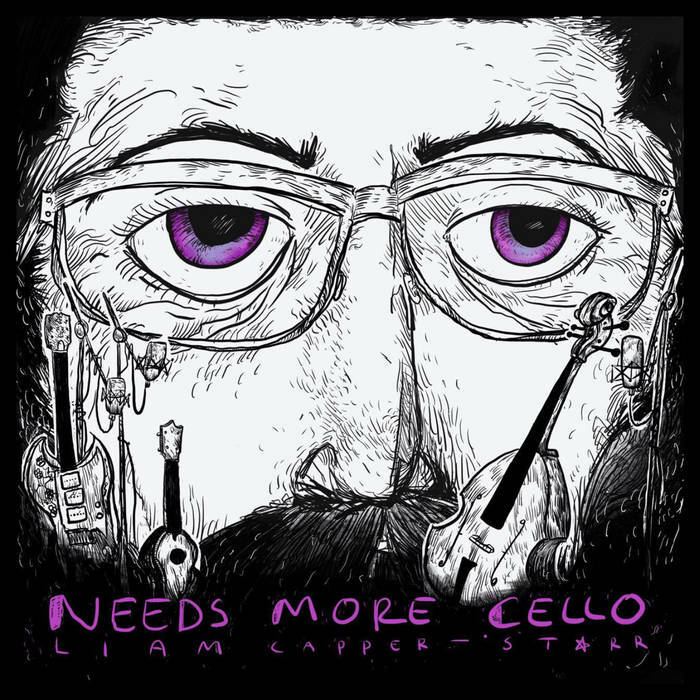 Don't listen to 'needs more cello ' by @Starrstrum while driving. The watery eye moments definitely cloud your vision". Have you ever heard of Rodrigo y Gabriela? I find them the most captivating guitar players and "Wildest Eyes" brings their style to the ukulele. You wouldn't have thought it possible. Finger tapping the soundboard along with playing. Amazing. "Middle Distance" is similar in some ways but with an orchestral violin twang as an underbeat. There are some keyboard and synthesised moments, but they are used to good effect, not overpowering at all. "The Final Love Song" is a wonderful instrumental piece as an example. My favourite track is "The New Sad" just an awesome underlying rhythm. This man teaches music as a profession, if I could learn just one thing from him especially as a songwriter, I'm sure I'd be much richer muscially for it. The construction of the song, just that. A very full album. Another "Cool Cat Ukes Recommended Album" award, another one that's a must for your collection. Buy via bandcamp at starrman.co.uk. If you buy just one album this year, it's this one. Oh, and Liam I love the purple eyes on the album cover! Liam - well done, amazing album, great variety and with 14 tracks, great value, too.